Mueller has encouraged whistleblowers to come forward during the emissions scandal. 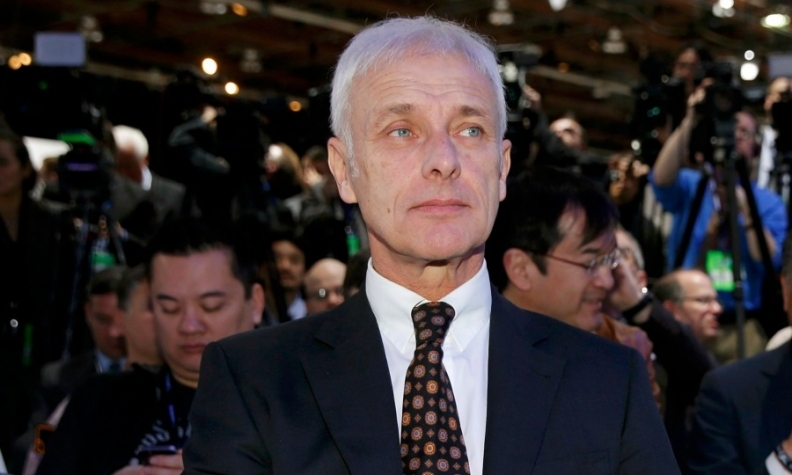 STUTTGART (Reuters) -- Volkswagen CEO Matthias Mueller cast doubt on a report that said many managers at the automaker knew of, or were involved in, developing emissions test-rigging devices. Volkswagen's development of software to cheat diesel-emissions tests was an open secret in its engine development department, Germany's Sueddeutsche Zeitung reported on Jan. 22, citing results from VW's internal probe. The newspaper, which researched the matter with regional broadcasters NDR and WDR, cited a whistleblower whom they said was himself involved in the deception and had testified to investigators hired by VW. "No one has spoken with me," Mueller told reporters today at a reception of automotive executives. "You got the information from some sources who have no idea about the whole matter." Mueller also damped expectations VW could release the first public results of an investigation into the scandal by U.S. law firm Jones Day before its shareholders' annual meeting on April 21. Top players on VW's supervisory board will hold their third meeting in three weeks on Wednesday as they continue to grapple with the scandal more than four months after it broke, sources have said. Mueller said VW is obliged by stock market law to submit a report to the annual meeting and it was not possible for us to say anything beforehand.